Unemployment Insurance (UI) benefits are received by debit card or direct deposit. The Way2Go Card® Debit MasterCard is provided by Xerox and is mailed within 7-10 business days from the date you file a new claim. If you do not receive a Way2Go Card, contact Xerox Customer Service at 1-855-462-5887. Claimants currently receiving benefits may also enroll for debit cards or direct deposit payments online within their Jobs4TN account. All questions regarding your Way2Go Card account should be directed to Xerox Customer Service. The Department of Labor staff cannot answer questions about your Way2Go Card account. For questions about direct deposit issues contact your financial institution. The Department of Labor cannot answer questions concerning your personal account information. A Way2Go Card provides an easy, convenient and secure way to receive your Unemployment Insurance benefit payments. It may be used anywhere MasterCard® is accepted, including for online purchases and bill payments. Each debit card is embedded with an EMV chip for greater security and will include documentation with instructions on the use of the card. Do I have a choice how I receive benefit payments? Yes, when you file a claim you may choose direct deposit to have your unemployment deposited into your personal checking or savings account or you can choose a Way2Go debit card. You may change your payment type by going to Jobs4TN. How do I receive my unemployment insurance benefits as a direct deposit? Claimants filing a new claim online will be given the option of debit card or direct deposit. Everyone else will need to go online to select direct deposit as their choice for receiving benefits. Claimants with existing claims may also choose to switch to direct deposit or debit card by going to Jobs4TN. What are the benefits of the Way2Go MasterCard? Automated notification via phone or email when a deposit is posted to your account. Customer service toll-free number to answer questions and obtain your balance. Web access to your Card account and personal transaction history. Access to your funds anywhere Debit MasterCard is accepted. Can I get into debt or damage my credit score using the Way2Go MasterCard? No. Use of the Way2Go Card will have no effect on your credit rating. Your card will be a prepaid debit MasterCard not a credit card. Can I use the Way2Go MasterCard to build a credit history? No. The Way2Go Card will not help establish a credit history as a credit check is not required to receive the card nor is it tied to a bank account or credit line. How long can I continue using my TAP Visa card? Claimants are advised to use the remaining funds on their Chase card within 30 days of the transition to the new card (July 7, 2016). After 30 days all card issues will need to be addressed directly with Chase at 1-866-429-9835 or online at www.myaccount.chase.com. How do I get the new Way2Go MasterCard? When filing your initial claim, you will have the option to receive your benefits via Ways2Go Card or direct deposit. Your card will be sent to you in the mail within 7-10 business days after filing your claim. You may use your card only after benefits have been deposited in your account. How do I get my address changed on this account? It is the claimant's responsibility to make sure that the Department Labor has their current address on file. 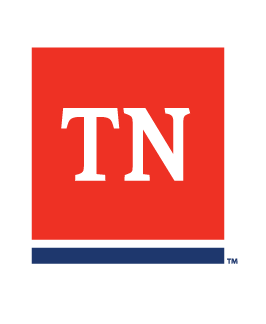 You may update your address online at Jobs4TN. How long will it take to receive my Way2Go MasterCard? What should I do if I'm expecting my Way2Go MasterCard in the mail but never receive it? Call Way2Go Customer Service at 1-855-462-5887 and let them know that you have not received your card. Make sure your mailing address is accurate. In order to protect you from potential card theft, your card will arrive in a windowed envelope that does not display the TDLWD name or logo. Debit cards are not shipped through TDLWD, so it may take an extra day or two for the Way2Go card to reach you. Can I get electronic notifications regarding deposits? Yes; register your mobile phone to receive notification and alerts using the Way2Go Card app (Apple Store | Google Play), GoProgram.com or calling 1-855-462-5887. Can I transfer funds from the Way2Go MasterCard to my personal checking or savings account? Yes but you must contact that banking institution to do so. No; only the person approved for unemployment insurance benefit payments will receive a card. When will benefits be deposited in my account? Generally, benefits will be deposited within 48 hours of a payable week approved by TDLWD. It is important that you continue to certify for benefits each week. Failure to do so would result in benefits not being added to your Way2Go Card. You should always check your balance before using the card. You may conduct balance inquiries free of charge through the convenience of Internet access at www.GoProgram.com or the Way2Go Card mobile app(Apple Store | Google Play). You may contact their customer service at 1-855-462-5887 free of charge, four times a month. There is a $0.25 transaction fee for each call thereafter. Will the maximum benefit amount be on the card when I receive it? No; only weekly payments authorized by TDLWD will be added to your card. The first week, also known as the waiting period, is paid after four consecutive weeks of certifications. Once a claim is approved, money will be added to your debit card. Keep in mind: You must certify each week to initiate payment. Will I earn interest on my Way2Go MasterCard funds? No; this account does not earn interest. Will I be able to add funds to my card in addition to what the department puts on it? No; only TDLWD can deposit funds to the card. Is there a daily limit to how much I can spend using the Way2Go Master Card? Not exactly. The only limit would be the balance on your card when swiped as Master Card. Now for ATM limits, that is based on individual bank policies for withdrawals. Is the debit card ready to use once I receive it? No, you must first activate the card and typically benefits are not uploaded yet. Activate your Card via the mobile app (Apple Store | Google Play), GoProgram.com or calling 1-855-462-5887 . Use the Way2Go Card® mobile app (Apple Store | Google Play), GoProgram.com or call 1-855-462-5887 to get your available balance. What is this chip on my Way2Go Debit MasterCard? A microchip is embedded in the card, providing increased protection against fraud. How do I use my card at chip-enabled terminals? Your MasterCard has both chip and magnetic stripe technology. This means that regardless of what type of terminal a merchant has, you'll be able to use your card anywhere Debit MasterCard is accepted. At retailers with chip enabled terminals: Insert your card and follow the prompts on the terminal. What kind of purchases can I make? You have great flexibility here. Purchases can include but are not limited to gas stations, online shopping, utility bills ($0.95 Bill Pay fee), and dining expenses. Where can I use the Way2Go MasterCard? Use your Tennessee Way2Go Card® Debit MasterCard® at retailers where Master is accepted. How do I use my Way2Go MasterCard to make purchases? The money is automatically deducted form your Card account. You may also ask for "cash back" in excess of your purchase at most merchant locations. Can someone other than the claimant use the Way2Go MasterCard? What’s the difference between customer service & surcharge fees? A transaction fee is a cost you may incur when using the card. A surcharge is an additional fee that may be charged by the owner of an ATM. Avoid surcharges by looking for the MoneyPass logo. Always read the ATM messages carefully and keep in mind that you may cancel transactions if you wish to avoid such a fee. Are there any free transactions available? Withdrawal cash for free at MasterCard® Member Bank or Credit Union teller windows. Access your card account information for free at GoProgram.com. Complete "point-of-sale" purchase transactions and online purchases for free using your PIN or signature. Receive free alerts and notifications via email, phone, or text message. Transfer funds for free to your personal U.S. bank account. What fees are associated with Tennessee’s Way2Go MasterCard? This fee schedule lists the fees that will be withdrawn from your Card account balance, except where prohibited by law. Teller-assisted Cash Withdrawals No Fee at any MasterCard member Bank or Credit Union teller windows located in the U.S.
International Transaction Fee 3% of transaction amount for each ATM cash withdrawal, purchase transaction, or teller-assisted cash withdrawal conducted outside of the U.S.
* ATM owners may charge an additional fee called a "surcharge" or "convenience fee." Read the screen message carefully for information related to surcharges before you press "Enter." You will have the option to cancel the transaction and go to another ATM. ** You are responsible for all charges and fees imposed by your mobile carrier or internet service providers. How do I avoid being charged fees? Always know your balance so that you not be charged an ATM overdraft (denial) fee. You may withdraw your full amount at any MoneyPass ATM location. MoneyPass locations are considered to be "in-network." What do I do if I'm charged an unexpected transaction fee? Call Way2Go customer service at 1-855-462-5887. Can I withdraw cash from the Way2Go card? Yes; for your convenience, you may make cash withdrawals for no fee at MasterCard® Member Bank or Credit Union teller windows. How do I know I can use a particular ATM location? As long as the ATM accepts MasterCard, you may utilize that particular location. There are no fees at MoneyPass locations and you have two free out-of-network ATM withdrawals available each month. After that you will be charged a $0.35 fee for each withdrawal. Why do I have to pay a surcharge at a surcharge-free ATM? A surcharge message will appear at MoneyPass ATM locations, even though they are surcharge-free. Accept the surcharge if you want to make the transaction. You WILL NOT be charged the surcharge amount as long as you're using a surcharge-free ATM. How can I access funds if my balance is less than the ATM’s minimum requirement? Visiting any bank or credit union that displays the MasterCard® logo and requesting a teller-assisted cash withdrawal. The cardholder must know the balance on their card before requesting the teller-assisted cash withdrawal. Using the balance on the card towards a purchase at a retail location. Simply put, it's an overcharge. An ATM denial occurs when you try to withdraw more money than you have available in your account. It is important to keep track of your balance. Check your balance online at GoProgram.com or by calling Way2Go Customer Service at 1-855-462-5887. What happens when I'm denied funds? Nothing; there is no fee for ATM denials. What do I do if I have forgotten my PIN? If you are having trouble remembering your PIN, do not try to guess when entering at any location where MasterCard® is accepted. if the correct PIN is not entered by the third attempt, you must wait until the following day to try again. Call Way2Go customer service at 1-855-462-5887 if you are having problems with your PIN. What should I do with the Way2Go Master Card after the money is gone? Keep it. We'll use it to pay you the next time you draw unemployment benefits. When the card is sent to you, it will have an expiration date two years from date issued. Should you need to file another claim for unemployment benefits during this time, this same card will be used. Can I use my Way2Go MasterCard outside of Tennessee or in another country? Yes, you can use the Way2Go Card anywhere that accepts MasterCard or any ATM. ATMs other than MoneyPass will charge a transaction fee of $0.35. There is an international ATM cash withdrawal fee of 3%. What if my Way2Go MasterCard doesn't work? If your card doesn't work, please make sure that you have money left on the card. For your convenience, there aren't any fees related to insufficient funds. The ATM may be out of service. Reminder: You may use your card surcharge-free at all MoneyPass ATMs. What happens if the Way2Go MasterCard is lost or stolen? Call the toll-free Way2Go Customer Service center, 1-855-462-5887, to report a lost or stolen card. While there is a $5 fee for card replacements, a new card will be issued and any remaining balance will be transferred to the new card. Does TDLWD use text messages or email to verify my Way2GO MasterCard? Do they ask for my PIN? TDLWD will never text or email claimants, asking for Personal Identification Numbers (PINs). We do not need your PIN to work with your claim. Only you should know your PIN. Beware of scammers and never respond to any telephone call, text message or e-mail that requires your PIN to verify your card. Who do I contact when questions arise with my Way2Go MasterCard? Questions regarding your Way2Go MasterCard® are to be directed to their customer service at 1-855-462-5887. Questions regarding unemployment insurance are to be directed to the claims center at 1-877-813-0950 or 615-253-0800. When is the Way2Go customer service line available? 24/7; this even includes holidays! Is there a mobile app for Way2Go? If so, what can I do with it? Definitely; the Way2Go Card app is available on iOS and Android devices. Do I still have to certify online each week? Yes; as long as you are unemployed, you must certify online at Jobs4TN. I’ve certified for the week but the money isn’t there; where’s my money? Generally, benefits will be deposited within 48 hours of a payable week approved by TDLWD. It is important that you continue to certify for benefits each week. Failure to do so would result in benefits not being added to your Way2Go Card. You should always check your balance before using the card. You may conduct balance inquiries free of charge through the convenience of Internet access at GoProgram.com or the Way2Go Card mobile app(Apple Store | Google Play). You may contact their customer service at 1-855-462-5887 free of charge, four times a month. There is a $0.25 transaction fee for each call there after.